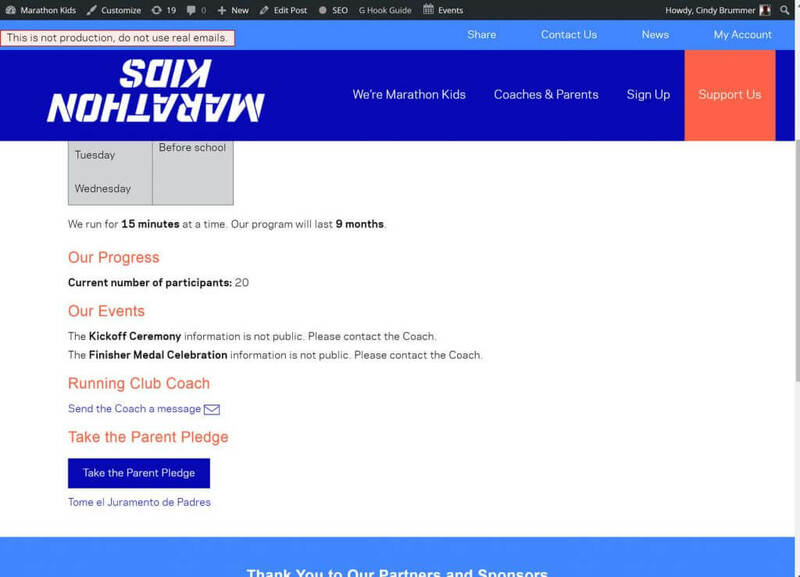 Marathon Kids, a national non-profit based in Austin, TX, wanted to scale its program and develop a registration system that would work for its current and future programs. The organization hoped to leverage technology to improve internal efficiencies, manage program complexities, and implement a transition to a monetized program. 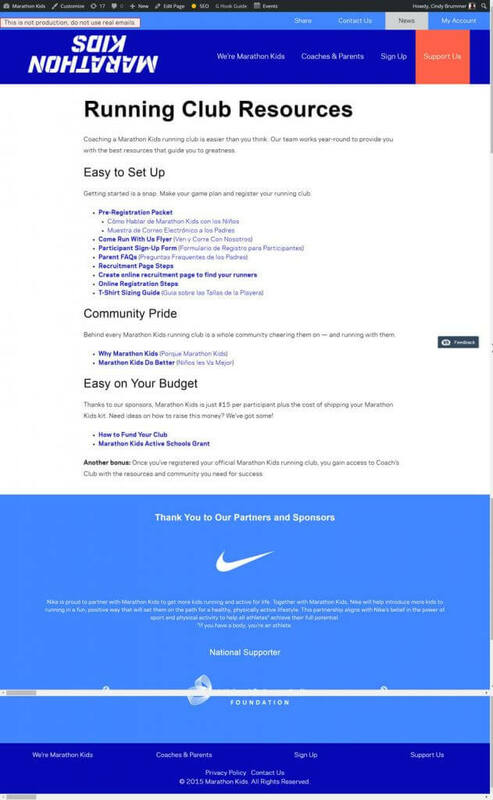 When Marathon Kids partnered with Nike in 2015 and expanded their program further, we worked with them to implement the re-vamped program in a sweeping redesign of the website. The program changed to encourage kids to run the equivalent of up to four marathons over the a running club season that could vary in length. 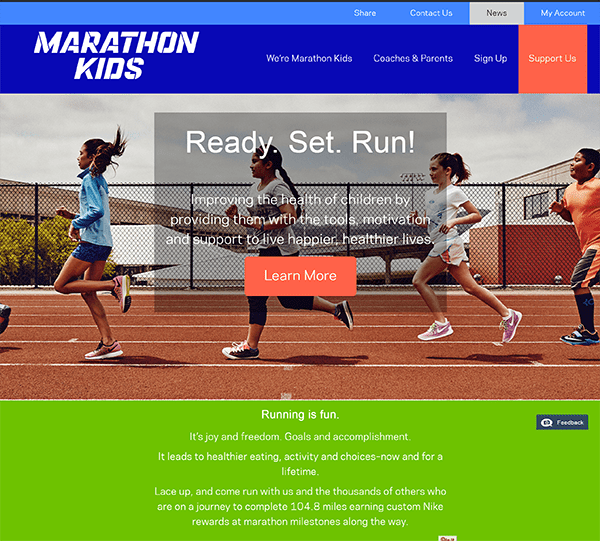 Marathon Kids not only needed to implement new branding, but the organization also needed the website technology to support their team to handle the registration changes and scale from seven cities to cities across the country. Standard Beagle was brought into the project in October 2014 after Marathon Kids launched a brand new website. The site had not been developed to the organizationâ€™s specifications. We began with the school registration process. The website needed to validate whether or not the school was already a part of the program. If it was, then the user trying to register was sent to a different form. 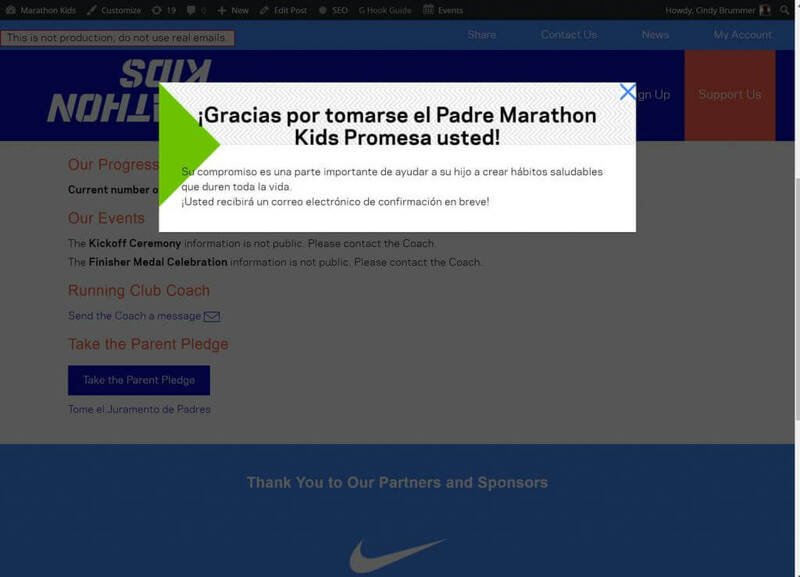 If the school was not part of the program, the user was invited to register. The requirements involved complexity and customization. We harnessed the power of custom post types and moved the registration home base from the user to the school itself. After fixing the school registration, we worked with Marathon Kids to launch two new initiatives: Registration for organizations — which uses a similar process to schools — and families. A coach’s dashboard for downloading materials and updating information about their events. These screenshots were taken from Standard Beagle’s development site, which shows the logo upside down in order to reduce confusion for where work was being completed.